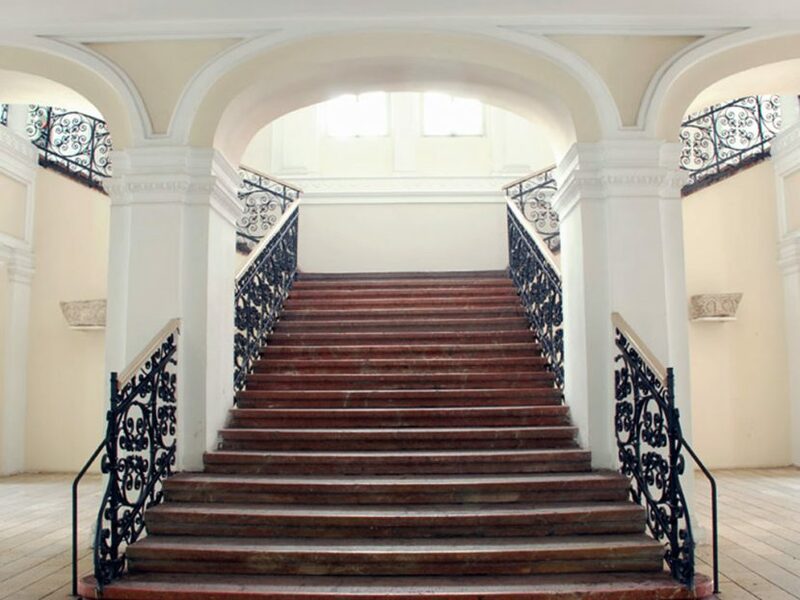 As we see, you are interested in finding out some interesting stuff about the Museum of Vojvodina, isn’t that right? Well, that’s awesome because we want to share with you our first ever Museum of Vojvodina online guide for visitors where you will find out everything that is to know about the place. There is even a gift waiting for you at the end of the text. I bet you are now thinking about a gift you will receive, is that right? It is the place of significant historical importance. The place that keeps alive history and tradition of Vojvodina. The place that contains some of the most amazing museum items you will find in all the Ex-Yugoslavia. The must visit place in your next trip to Novi Sad. 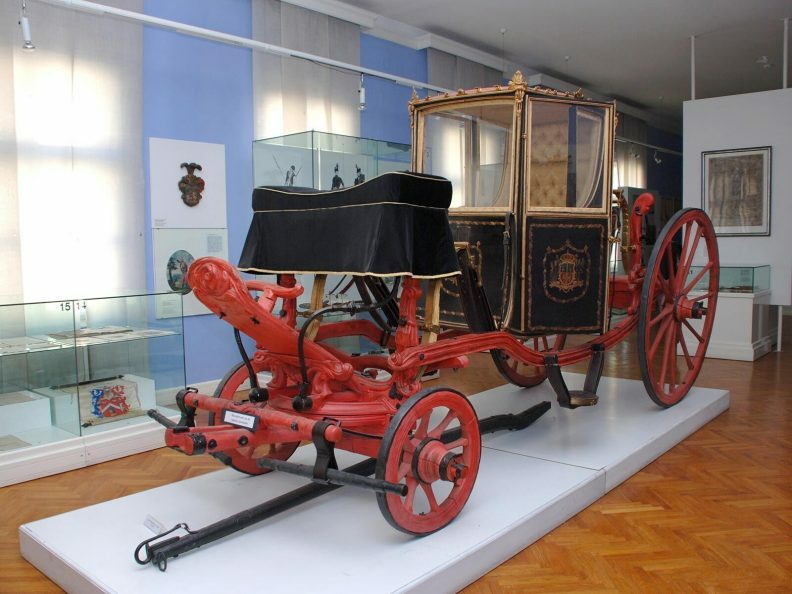 What is there to see in the Museum of Vojvodina? 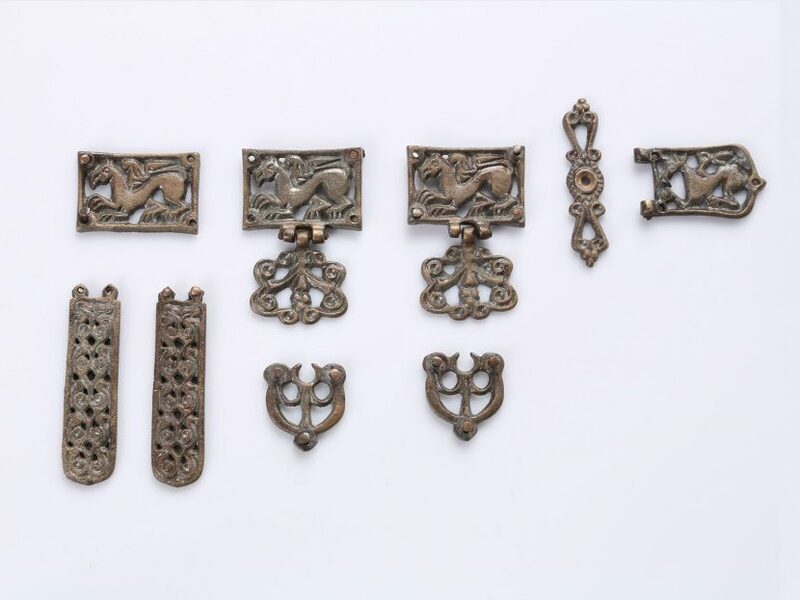 The exhibited items in Vojvodina Museum demonstrate the duration of human communities and cultures from the Paleolithic and Mesolithic periods up to the first traces of humans near Irig which date back around 70,000 years ago. They start by showing Strarčevo, Vinča and other Neolithic cultures and cultures from Feudvar site, Kalača site and various layers of Gomolava site. Some items here also date from the mythical periods of ancient Greece while some are representative of the beautiful monuments of the Roman Empire. So all you archaeology lovers, we are more than sure you will like to know that three halls of the Permanent Exhibit of the Museum of Vojvodina are dedicated to archaeology itself. The period from the Paleolithic to the Middle Ages that has been displayed through a presentation is being presented through combining most valuable archaeological items and modern museum display techniques such as reconstructions of settlements and separate objects, photographs, maps and legends. 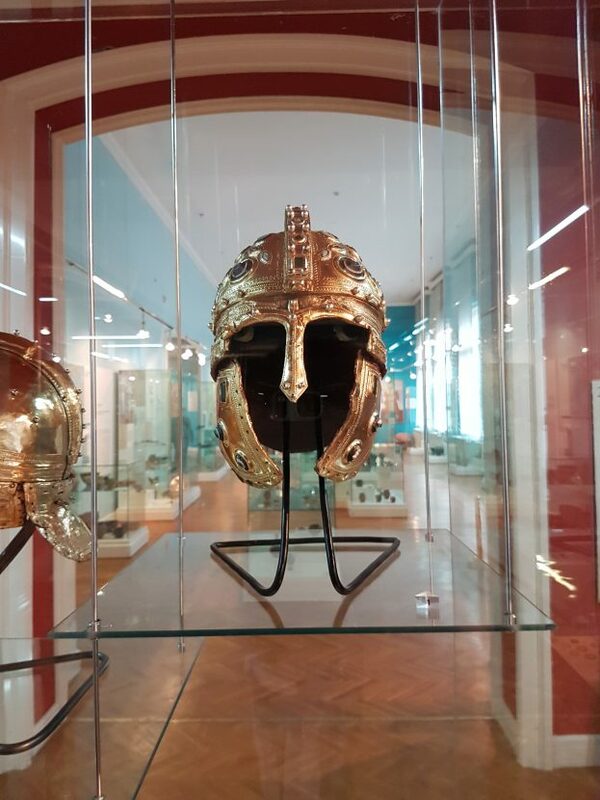 Antique Collection of Museum of Vojvodina is maybe of the most beautiful collections in the entire museum, including two famous Roman helmets from Berkasovo. The helmets arrived at the Museum of Vojvodina back in 1955, after a farm woman found them while tilling a field. The story says that shortly afterwards, archaeologists determined that the helmets were buried in Roman times along with two pairs of horse bits and several silver belt accessories. The less lavish of the two helmets bears the inscription VICIT [LIC]INIANA, which helped archaeologists date it to the start of the 4th century, the time when the Roman throne was fought over by future emperor Constantine the Great and his rival Licinius. From 308, when Licinius became the Augustus, the two emperors ruled together, only to soon begin a bitter struggle for the throne, which ended in Licinius’ defeat and execution. According to one interpretation, the helmets may have been buried during the retreat of Licinius’ troops towards Sirmium, i.e. after the battle of Cibalae (today’s Vinkovci). According to a different interpretation, based on the existence of a subsequently added inscription in Greek, the helmet may have been in use over an extended period of time and later buried at some point during the turbulent 4th century of the Roman Pannonia, where our archaeological sites Berkasovo and Jarak were located. 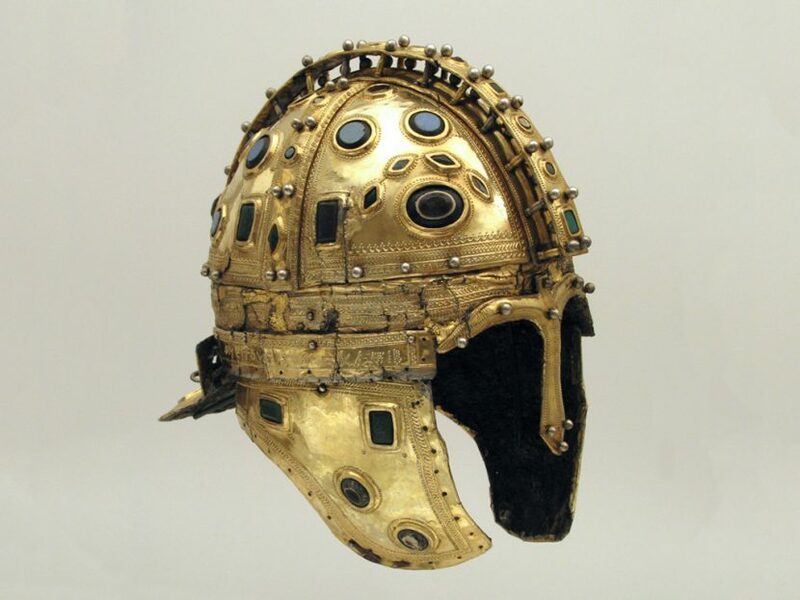 The first helmet, from Berkasovo, is the most beautiful and ornate specimen among known examples of Late Roman helmets! Of extraordinary shine, decorated with glass paste inlays imitating emerald and semi-precious stones onyx and chalcedony, it has been captivating the scientific and general populace for over half a century. The Museum of Vojvodina is the only museum in the world that possesses three gilded helmets of the Berkasovo type! Beat that Museum of Louvre! But if you think that this is the only special and unique item here you are dead wrong. Just check out this. Before the invention of the motorcycle, automobile and airplane, cyclists would reach the fastest speeds of human motion on a two-wheeled foot-powered vehicle (velocipede). The first invention of this device is ascribed to Leonardo Da Vinci in the 15th and 16th century, the blueprint of which was never realized into a prototype. The further development of two-wheeled vehicles was promoted by Count Mede de Sivrac in 1791, when he constructed a wooden two-wheeled device, which the rider would push along the ground with their feet. The next step was taken by the German Baron Karl Drais, who introduced the steering handlebar attached to the front wheel. This device was named Draisine after him. The first bicycles powered by pedals mounted on the front wheel appeared in 1861 in France. 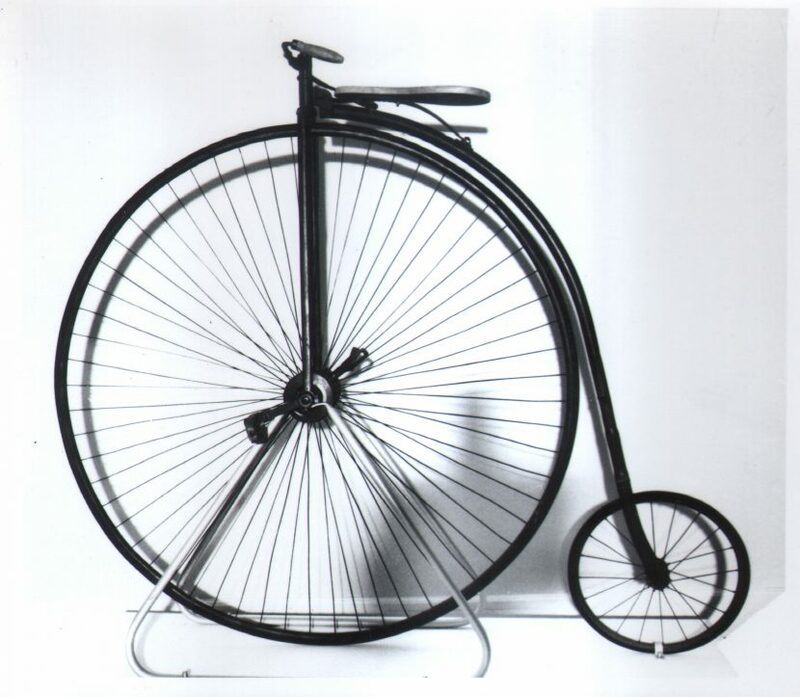 They were made of metal, the front wheel was much larger than the rear one, was moveable and also used to steer. This type of bicycle wasn’t in use for long and as early as 1880, a new bicycle with a chain drive, lower frame and equally-sized wheels was released. Both types of bicycles were used alternately at first, so in some cycling races at the time, the use of both models was noted. Ethnology department is also very interesting because items exhibited here testify of the people from the territory of Vojvodina. Starting from the fact that folk culture develops over the course of centuries and under various cultural influences, the Exhibit comprises themes that are the very core of folk culture on Vojvodina grounds: folk architecture, agriculture, weaving, rugs, house decorations, customs and traditional wear. So as you see, there is quite some stuff to do around here. Finally! It’s time to share some presents. You have been reading this text for some time now and we thank you. It means a lot to us that you spent your time reading something that we write. That is why we want to reward you. We believe every relationship should be mutual. You gave us your attention and time, and now we give you something in return. We put a lot of effort to make sure that each tour is created in a way to help travellers of all ages make the best cultural experience of their life and with each new site you visit you will be taken into a new era of culture and history. The gift that we have prepared for you is…. Completely free travel app that will make your travels more exciting than ever before. Cultural places is your own personal multilingual travel guide to more than 1600 city attractions and museums around the world. It is a one-stop solution for all you culture lovers. Travel media guide that takes travelling to completely different level. And you want to hear the best thing? Cultural places is super easy to use. 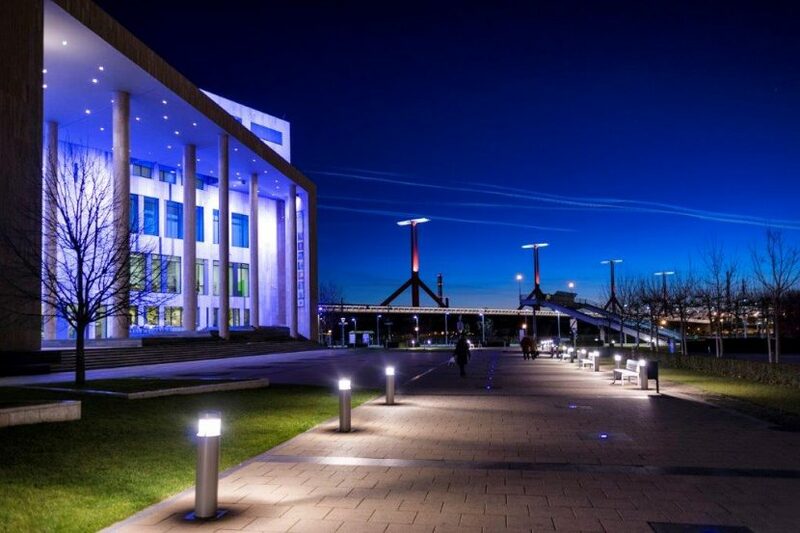 All you need to do is pick from the list of museums and sites we work with and let our audio guides take you on a journey you will never forget. Just click here. What is so special about this travel app is that with almost no clicking, you will be provided with most up to date information and facts about each place you visit. There is no need for you to do anything other than to enjoy and discover the culture in a new way. Even your mom can use it with no problem! So, next time in Museum of Vojvodina, make sure you try it out. Final words usually mean that something has come to an end. Unfortunately, the time has come for us to say goodbye. We regret to inform you that this tour is now finished. 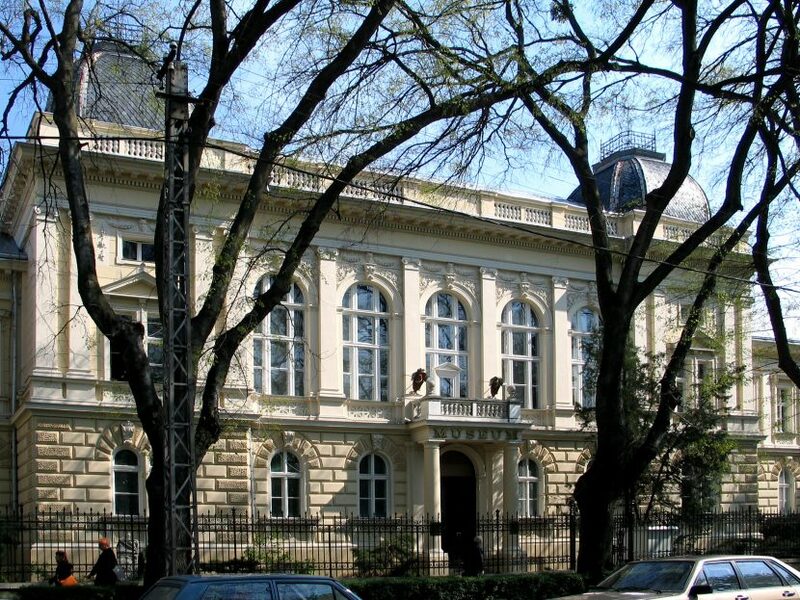 If you are interested in finding out more about Vojvodina during the first half of the 20th century, we suggest you visit the building at Dunavska 37. It houses the permanent exhibition dedicated to the First and Second World War in this region. Last but not least, please don’t forget the souvenir shop of the Museum, which does not only offers souvenirs and interesting objects inspired by our collections, but also books and other publications for those who want to learn more. Enjoy your stay in Novi Sad. P.S. While in Novi Sad, Budapest is very close. 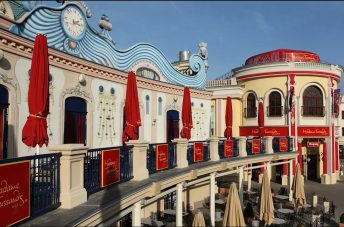 Check out top 10 things to do there. P.S.S. We thank Museum of Vojvodina and Panacomp for providing us with the necessary information to write this article.